The quintessentially British waterside village of Hamble is simply picture postcard perfect. With views that warm the soul, a temperate climate and architecture that would look good on a wall hanging calendar – Hamble boasts some impressive homes, yet none are more important to you than your own. Hamble Plantation Shutters from Just Shutters – your local choice! Call 01962 670157. We at Just Shutters understand that your home is your castle, and whether it is a waterside townhouse, a traditional country home, or a flat in the village centre, we can provide the perfect, bespoke window covering for you. Our range of shutters is second-to-none, whist shutters are ALL we do, meaning we specialise, we are the experts, passionate about our product, quality and service. Your local expert, a specialist in shutters and local to you, giving you the personal and professional service you need to ensure you make the right choice for your home. 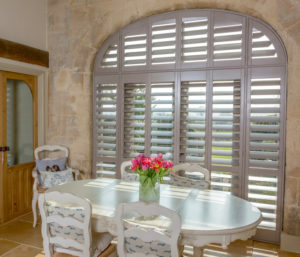 Unlike blinds or curtains, Plantation Shutters are made to last, coming with a lifetime guarantee, they provide added value for money year on year, while curtains may fade, gather dust and mildew, or blinds may tangle or warp – shutters provide a practical solution year-in, year-out, whilst remaining low maintenance and simply super stylish. Call us today for more information or a free home visit, in which he can show you all you need to see, to get a real sense of how our shutters will work in your home. Call 01962 670157 request a brochure or get an online shutter quote estimate now. Wonderful service as usual, overall perfect. Good price, service, understanding and installation. Efficient, delivered on time, installed tidily and well. Excellent service so would recommend.